The launch of a new gas condensate refinery will allow Iran to fully meet its gasoline needs and export on a global scale in the not-so-distant future, according to the Iranian news network IRIB. Last Sunday, Iran saw the launch of the first phase of the Persian Gulf Star refinery, which is expected to make Iran self-sufficient in gasoline production and will help the country become a major gasoline exporter, the Iranian news network reported. When it starts full operations, the refinery's daily gasoline production capacity will reportedly total 37 million liters. Speaking at the opening ceremony, Iranian President Hassan Rouhani said, in particular, that if it had not been for the signing of the Iranian nuclear deal, also known as the Joint Comprehensive Plan of Action (JCPOA) "we could never have opened this plant." — Woodmac MENA (@Woodmac_MENA) 3 мая 2017 г. In an interview with Sputnik Iran, independent energy expert Omid Shokri Kalehsar said that he does not rule out that Tehran may occupy its own niche in the world market of gasoline within the framework of the JCPOA. "After the inking of the Iranian nuclear deal and the subsequent partial lifting of sanctions, Tehran gradually began building up its capacity to produce oil and gas. In this vein, the launch of the first phase of the Persian Gulf Star refinery attended by President Rouhani is one of the goals of the JCPOA's implementation," he said. — Financial Tribune (@Fintribune) 30 апреля 2017 г.
Kalehsar specifically underscored the significance of Iran meeting domestic gasoline demands before trying to foray into international markets. "This is important because after the lifting of sanctions, Iran should, at least, regain its niche in the international oil and gas market. Therefore, the launch of a new refinery is aimed at gaining independence and getting rid of gasoline imports from other countries," he pointed out. — TheRealAmirTaheri (@amirex111) 1 мая 2017 г.
Kalehsar recalled that the implementation of the first phase of the Persian Gulf Star refinery, which was conducted by Iranian specialists, started in 1996 but was then hit by anti-Iranian sanctions slapped by the international community under US pressure through the UN Security Council. 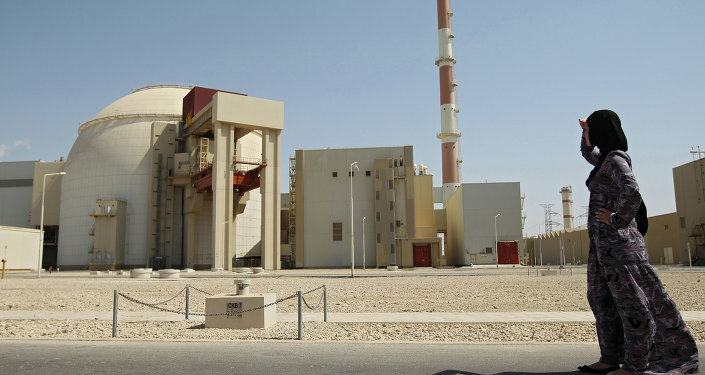 The sanctions prevented Iran from exporting the equipment necessary for the implementation of the Persian Gulf Star project, according to Kalehsar. "But it is important to emphasize that the main wealth is in terms of human resources, namely, trained and experienced personnel rather than equipment. And Iran has this wealth. 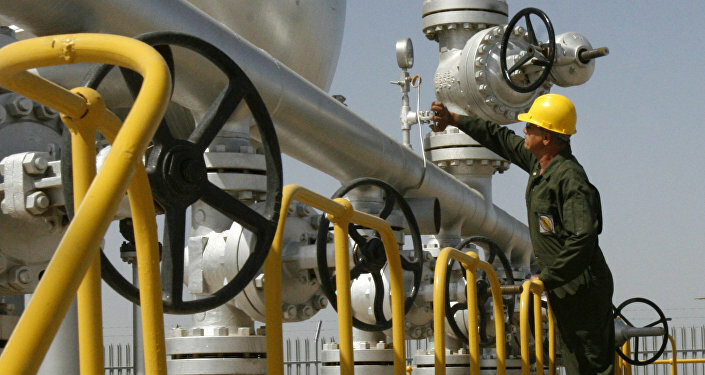 This will easily help Iran enter the global gasoline export market in the future," he concluded. Meanwhile, Iran implemented a bevy of retaliatory sanctions against a number of prominent US companies in late March. — Fars News Agency (@EnglishFars) 30 апреля 2017 г. This punitive measure is apparently meant to show Washington that Tehran will not bow in the face of a host of sanctions imposed against the Islamic Republic. The sanctions imposed by Tehran target 15 American companies primarily engaged in defense work, including BENI Tal, United Technologies Produces, RAYTHEON, ITT Corporation, Re/Max Real Estate, Oshkosh Corporation, Magnum Research Inc, Kahr Arms, M7 Aerospace, Lewis Machine and Tool Company, Daniel Defense, Bushmaster Firearms International, O.F Mossberg & Sons and H-S Precision Inc. The Iranian Foreign Ministry also condemned "the recent measure taken by the United States administration to impose one-sided extraterritorial sanctions against Iranian and non-Iranian individuals and institutions." The ministry argued that the US sanctions were "based on fabricated and illegitimate pretexts and amount to a move against the international regulations as well as the word and spirit of the Joint Comprehensive Plan of Action."